After watching a lot of Extreme Homes, and having lived in old warehouses and loft spaces, I couldn't ever bring myself to buy your typical home in the US. And with the cost of traditional building materials continually on the rise, it is still expensive even if I were to build my own home. 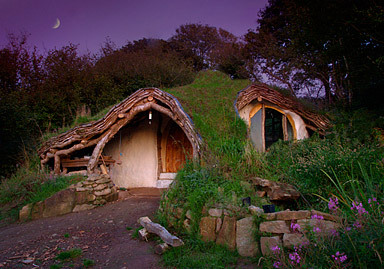 So, after much research I have finally decided the type of house that I want. When doing research on underground, earth sheltered, dome and other sustainable and energy efficient homes, the one that keeps catching my eye is primarily the cob house, and many are referred to as Hobbit houses, as in Tolkien's Hobbits. There is also the Cal-Earth home, which is very similar. 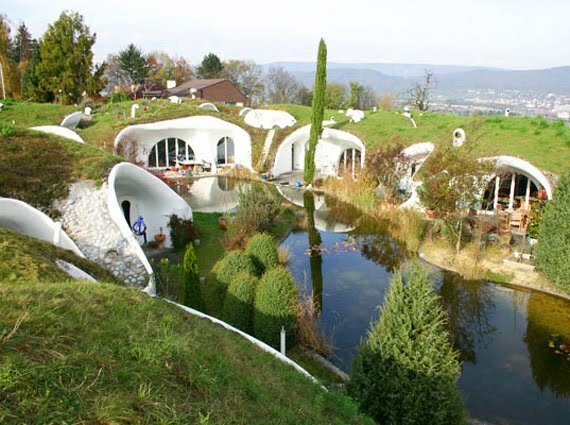 I haven't researched which of the two is the best, but for now I am going to just refer to my dream home as a cob home. Cob isn't what corn grows on in this case, it is a mixture of earth, sand, clay, straw and water...similar to adobe. Cal-Earth is made out of what they call superadobe. It just seems there are no downsides to these types of buildings if you have some physical strength and know how. Since I have many years of professional building experience, especially in mechanical areas, this really excites me. I figure that with a combination of PAHS, geothermal heating and cooling and solar and wind electricity, there will be no recurring costs except for maintenance/upkeep and property taxes. 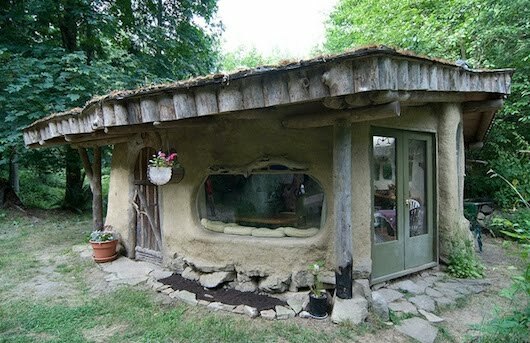 The next house has some cob, but for the most part wood and other materials. 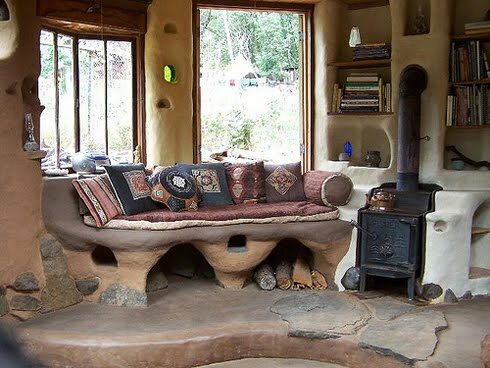 From the page: "My rule for the underground cabin is that it is built handmade using alternative materials that are, for the most part, found, salvaged or reclaimed." Very laudable, but this was a 9 year process and cob is freely available. 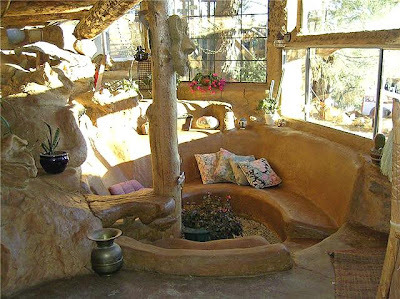 Either way, this sitting area caught my attention. This is another shot that interests me. 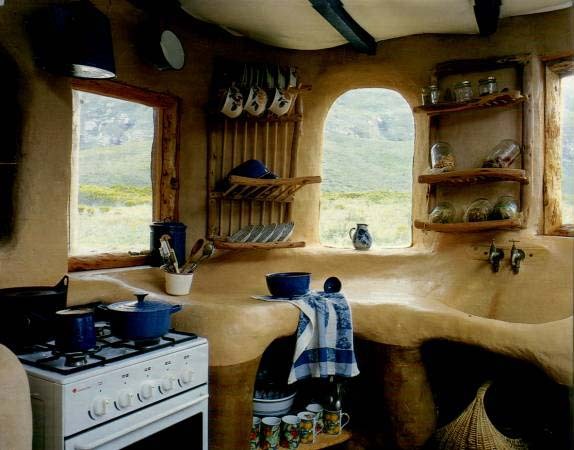 I totally dig the counter and sink, which seem to be made out of cob and are seamless and flow. Anyone who knows traditional homes, knows that typical counter tops and sinks have tons of seams and those are all potential leaks and breeding grounds for bacteria, etc. There are some like the one piece Corian units, but they are very expensive and need to be measured and most of the time ordered. This just seems like it was grown like an organic lifeform or something. This one is on the small side, but I like the big picture window. 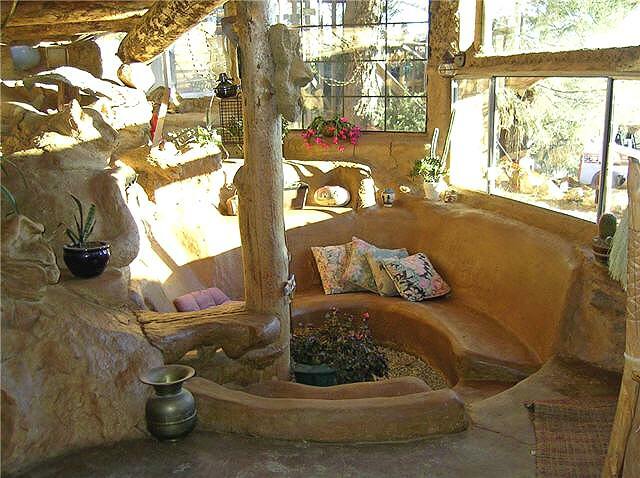 I am envisioning it to be facing the Pacific Ocean in our cob home, and on the inside a 4 person breakfast nook. Something like the sunken seating area above with a small table area that is actually just an oversized windowsill. And then I would like to have something like a courtyard, but fairly good size. A combination of this pic from Erdhaus with it having more vertical walls, like the following pic, so that the cats and dogs(don't have any of those yet) can play 'outside' but can't wander off. 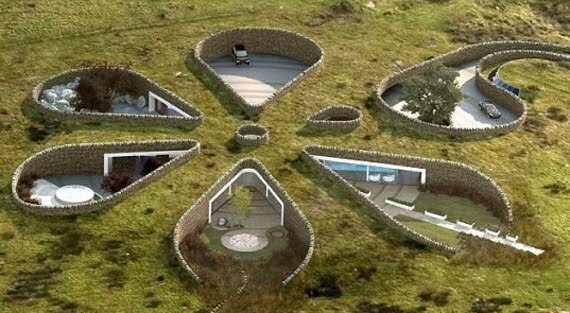 So as I am designing the cob home in my mind and collecting images for interior ideas and cool little features, we are conducting our search for appropriate land. Starting in NorCal and moving North ideally we would love something with even a distant view of the Pacific Ocean. While I grew up in the mountains, and I have almost always ended up living within a couple of miles of them, it is really the ocean that I love. So if we could find something in the foothills or in the navigable mountains of the Northwest with an unobstructed view of the ocean, I'll break ground as soon as we can. We aren't looking for something so far from civilization that we have to carry buckets of water from a stream...but we also don't want to see a cul-de-sac close by either. I estimate this is going to be a multi-year project, so we are in no big hurry.